Casa di Osio v Siena, Itálie: Zarezervujte nyní! 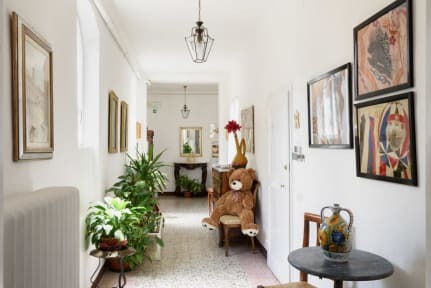 Casa di Osio is a wonderful, cozy and bright B&B situated in the heart of Siena. 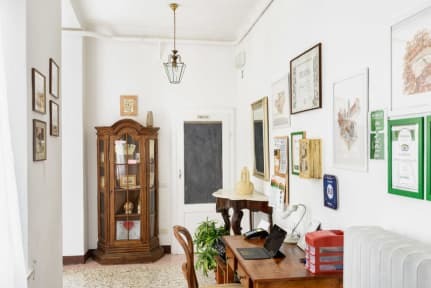 Completely renewed and restored , it is located in a notified palace built on 1313, in the initial part of the main street of the old city, Via Montanini. In the house there are 5 bedrooms which are very bright, carefully furnished and provided with all the mod cons. We are on 3° floor.no elevator. Breakfast is served in the living room from 8,00 a.m. to 9,00 a.m. , the owners will be at your total disposal to suggest you the best restaurants and points of interest.